Planning is crucial on every project. The first decision I made for my prop was that a space boot is lacking in appeal. They are sparse on details. 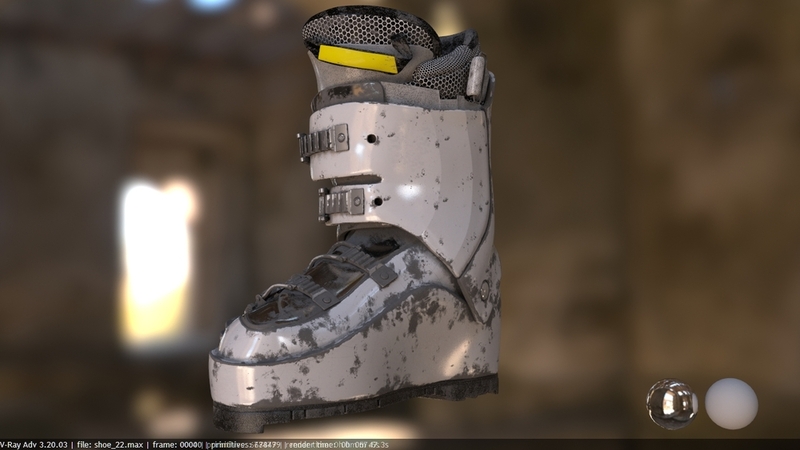 so I chose to create a ski boot instead. The first step is to find a good reference point. 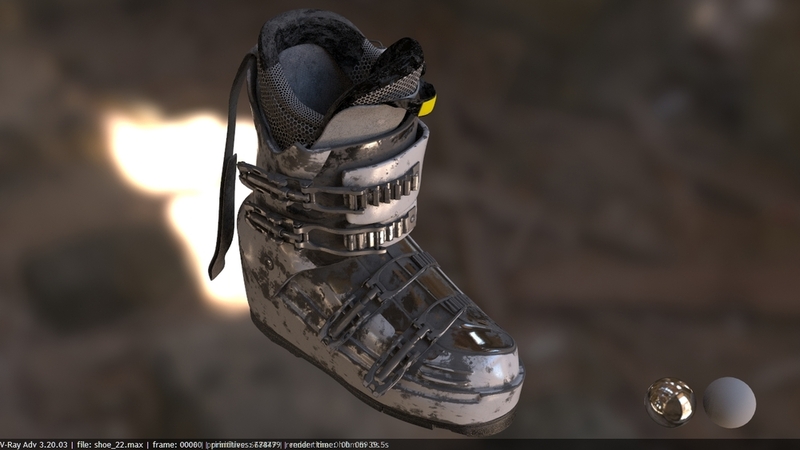 For this I used an actual ski boot, taking a 360 degree photo by using AGI software. This allowed me to create a rough model to begin with, then I retopo with Topogun, UV'd with Unfold3D and spit a .obj file to 3Dmax. 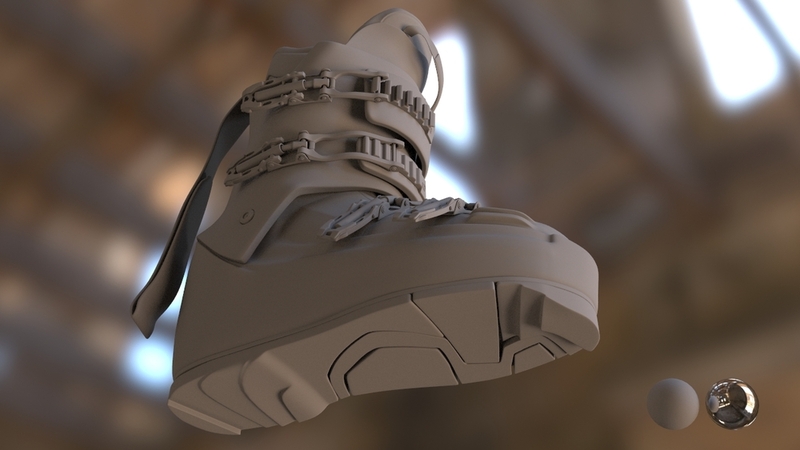 The second step was organizing the UV patch for each part of the boot. 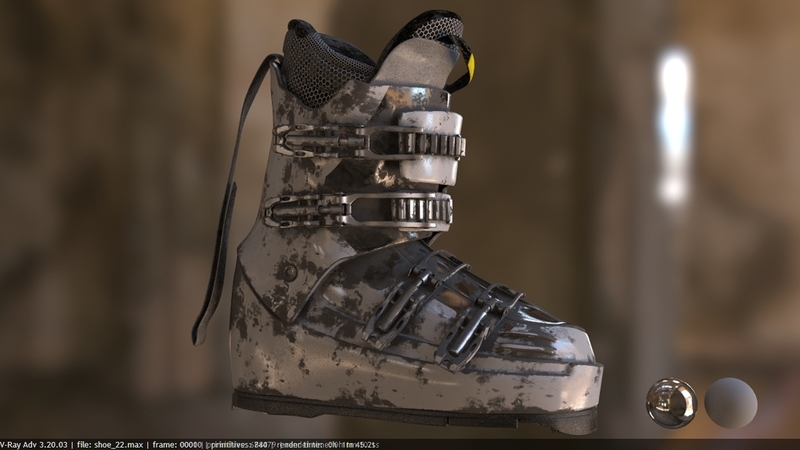 I continued with Mari to create the dirt mask to ensure the dirt looked like covering continuous the Ski Boot. I created a general mask, and in 3Dmax using Vray multi sub material I plugged the mask as a separate material. 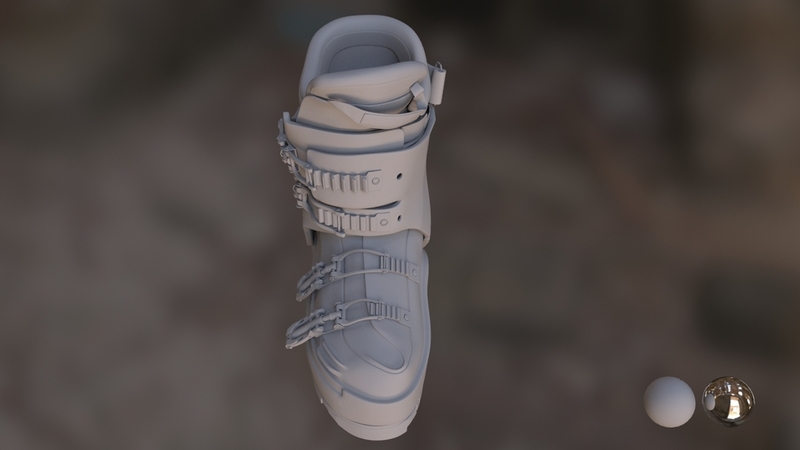 Third step was to bake AO and Cavity map for me to use as mask when i'm texturing with MARI. 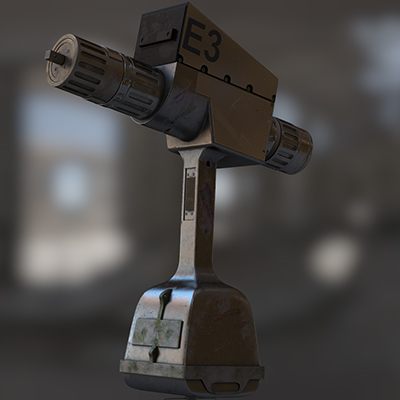 and i move to Zbrush for sculpt the damage and generate Displace Map. because my props are in exterior scene, all my renders are without GI, so in NUKE i have to tweak the look to get tired of the noise, and light the edge using AO pass instead of GI in the rendering process.